Maybe this isn't too holiday-ish but it looks like it to me. 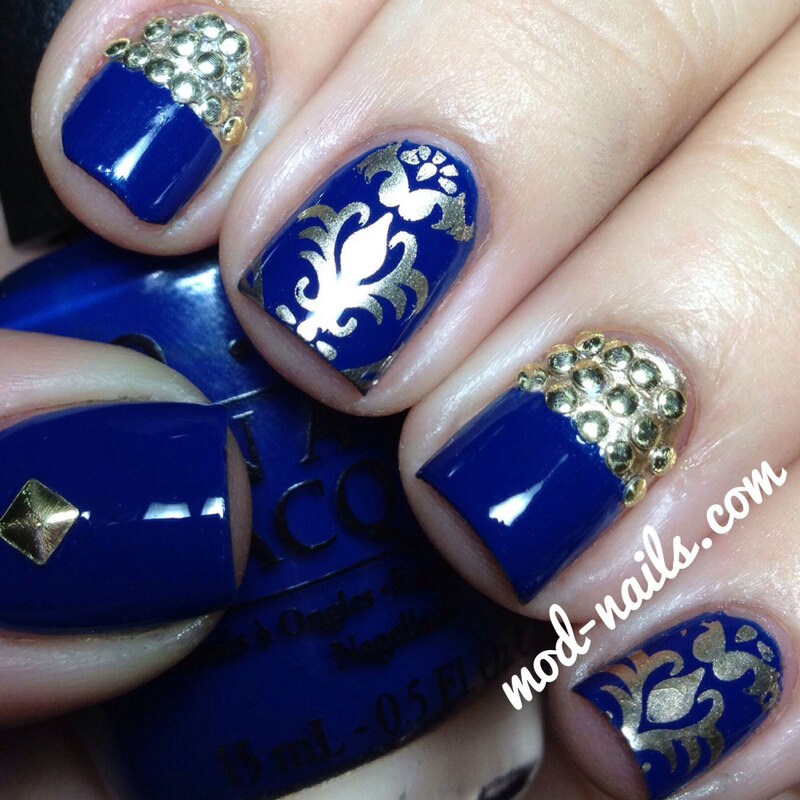 I saw the half blue and half gold studded nails on this month's issue of Nail It Magazine and I fell in love with it! I lovve this blue. It's a deep perfect blue and I thought the gold went well with it. This is lovely! I love the blue!